Frozen yogurt is one of our all-time favorite healthy snacks. Even better when they are in fun heart-shaped push pops. Raise your hand if the classic orange push ups where your favorite. Oh oh me me me! I ate those all the time as a kid. I know what your thinking. Lady, it is like 3 degrees below zero around here. Why are you showing me frozen snacks. Okay, call me crazy but I like ice cream (and frozen yogurt) even if my teeth are chattering. Yes, you might catch me bundled up enjoying a nice delicious frozen treat, with my gloves on. Ha! There really isn’t much to making these. Then why show you how? 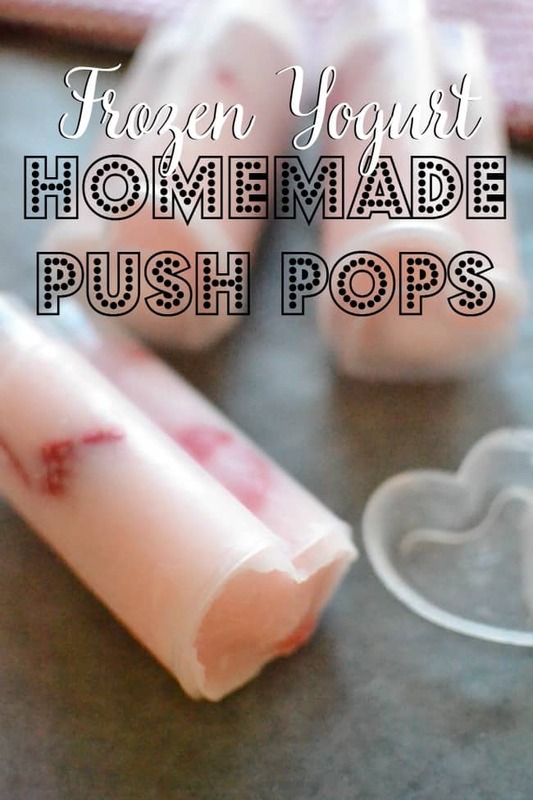 Well because I want you to see these darn cute push pops in action and to show you how to make popsicles. We buy store bought yogurt, mix in a little fresh fruit and freeze it overnight. We used strawberry yogurt and fresh strawberries here. 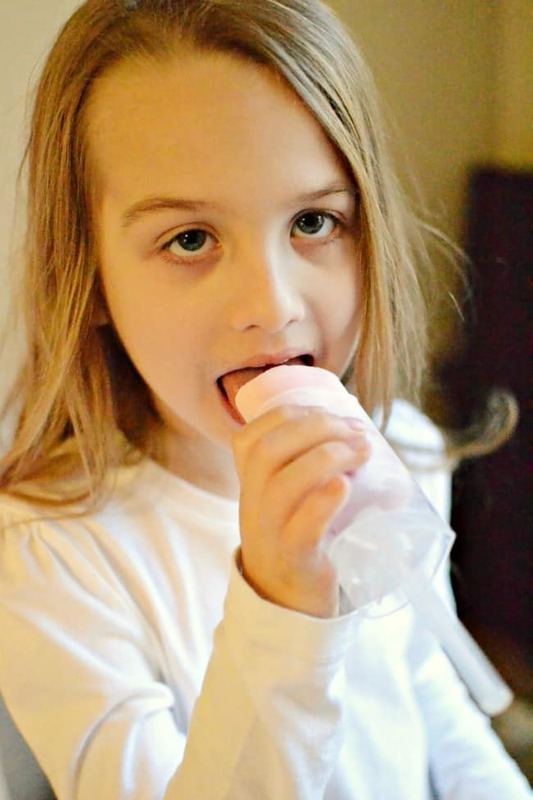 The super cute heart-shaped push pops are from pick your plum. If you have ever shopped from them then you know their stuff comes and goes as they sale out. You can find them on amazon though. 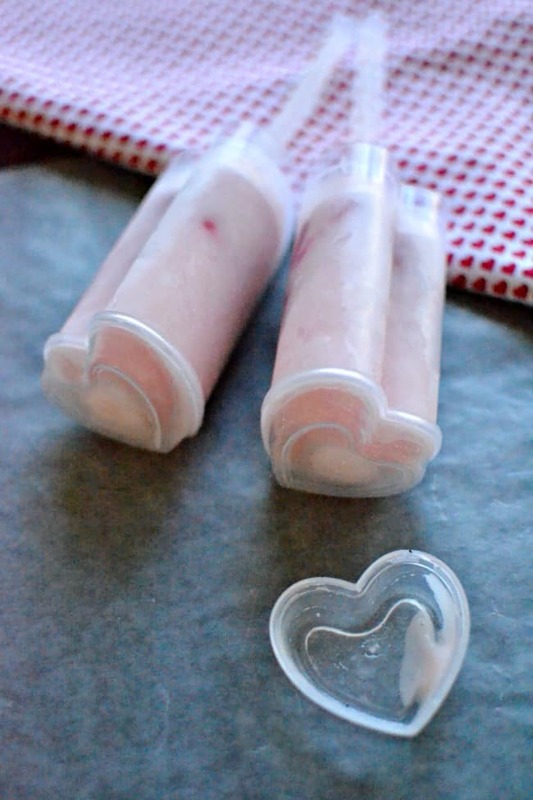 How fun are these for a Valentine party treat? These would also make a fantastic summer treat. I’m thinking red, white and blue. Yes? I love comments! Let me know what is your favorite yogurt and fruit combo.